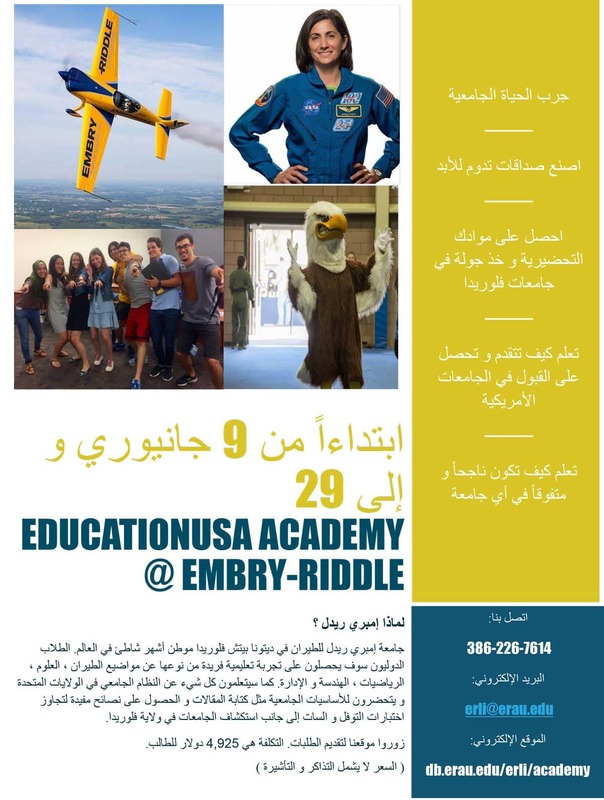 EducationUSA Academy at Embry-Riddle is designed to give international high school students the skills to succeed in an American university. Academy students take academic English classes in reading and writing, seminars about introductory topics in STEM, Aviation, and Business, and workshops that will help them write their university entrance essay, test-taking strategies (useful for TOEFL/IELTS & SAT), academic vocabulary, American culture, university policies, and college life. Where: Daytona Beach, Florida. 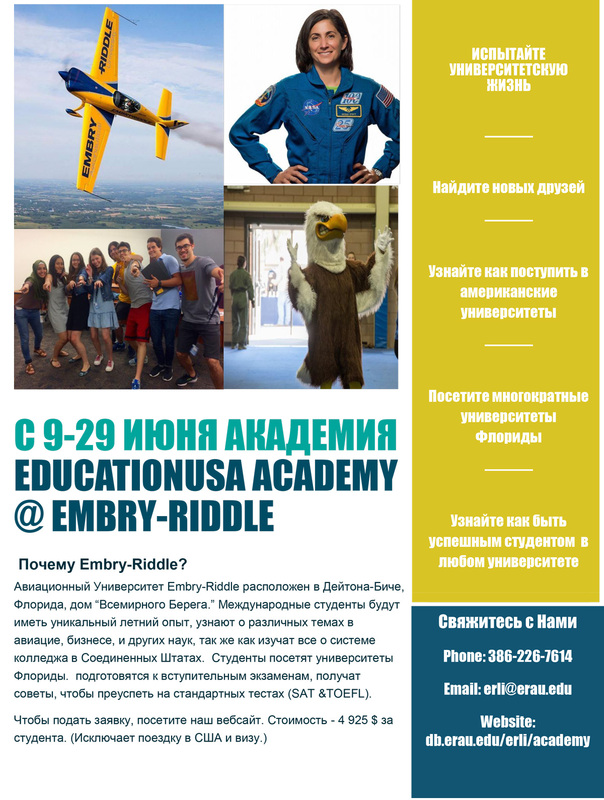 Embry-Riddle Aeronautical University is the world's #1 university for aviation and aerospace. Costs: $4,925 which includes tuition, books, trips to universities and attractions, housing, food and insurance. Fee does not include airfare and visa expenses. Current high school students between 15-17 years of age. Students must reside outside of the United States. Applications are now open. Apply today! Housing/Campus info: Academy students live in university dorms and eat at Embry-Riddle’s dining hall. At the time of their arrival, students will receive a university ID card that will give them access to all of the university’s amenities, such as the gym and the library. There is also an interfaith chapel on campus, which caters to diverse faiths. Curricula: 20 hours a week. Course content will focus on STEM, Aviation, and Business topics with an emphasis on academic skills and college readiness. College Skills learned: Grading systems, college credits, academic culture and vocabulary, academic integrity policies, types of higher education institutions, TOEFL/IELTS info, applications, essay/statement writing, standardized testing.